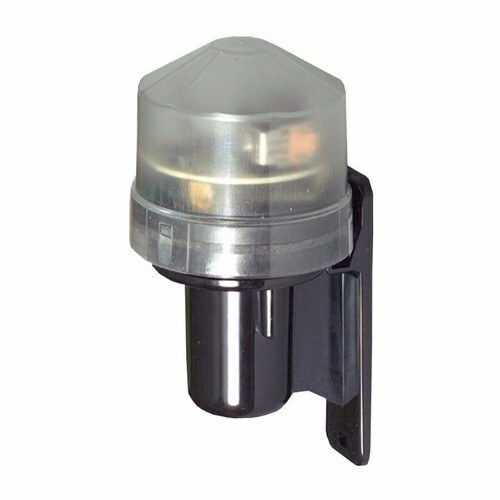 The TRPCKIT Nema Photocell Kit from KnightsBridge is a High Quality Dusk to Dawn Sensor ideal for powering your lights for convenience or security when outside light levels drop. This sensor features an operating range of up to 2000W with tungsten halogen, 2 x 400 Watt SON, 3 x 150 Watt HQI, 1800vA with a 10 Amp switching capacity. This wall mounted IP65 sensor is ideal for use in harsh weather conditions and for constant outdoor placement, and features a low-profile polycarbonate design sure to blend in with ease and be resistant to damage. I have purchased the NEMA Photocell. What type of cable gland do you recommend. Pity one is not included in the kit. will this work with 50W and 100W LED street lights?